Amazon is on a bit of a kid-friendly push with its Alexa voice assistant at the moment. 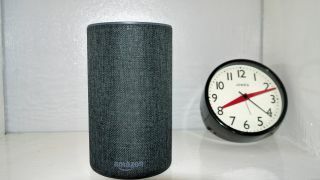 Last week it launched an Amazon Echo Dot Kids Edition for its US userbase, filled with child-safe skills, and now it's rolling out similar skills for all UK Echo devices. Bringing together recognisable brands and characters, the apps have been specifically built for kids, aiming to be both educational and fun. From Pac-Man to Lego to the Beano, your children will be able to enjoy everything from spoken puzzle games to stories, straight from your Echo speaker. Pac-Man Stories is a spoken choose-you-own-adventure game starring the pill-chomping arcade gaming star and his ghostly friends, while a skill based on the Beano comic includes a true and false quiz and some classic Beano jokes. Lego Duplo Stories and Amazon Storytime both offer tales for kids, while Moshi Twilight adds some soothing sounds and songs into the mix too. There will also be a hide and seek game with Sesame Street's Elmo, set to launch in the near future. In order to activate kids' skills, you can simply say, "Alexa, what are your kid skills?". The main account holder will also need to activate kid skills for the first time through the Alexa app and, when it's time to get the little ones to bed, can also deactivate them from the mobile app too.